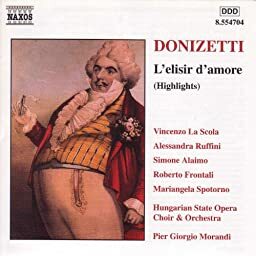 L'elisir d'amore (The Elixir of Love): Act I: Recitative: Caro elisir! seo mio! L'elisir d'amore (The Elixir of Love): Act II: Scena: Alto! ... fronte! ... Che vedo?